I was having one of those lucky online surfing mornings last Saturday, where every single link I clicked on led me to ten more amazing links and it just kept going and going - until I had to peel myself off my computer. 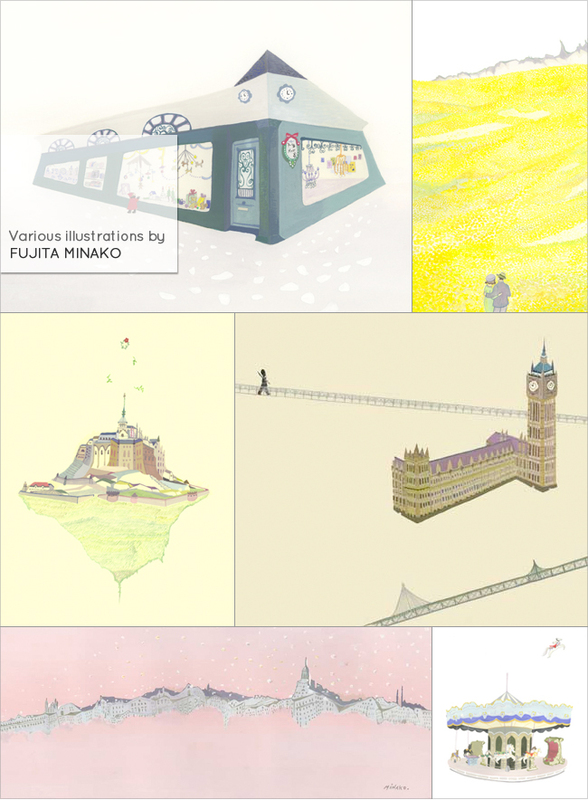 I discovered the works of Fujita Minako via Emma Cassi. The colors, the intricate tiny details, and overall mood of her work reminds me of a quiet winter's morning, looking out the window and watching the snow gently falling to the ground as the world sits still. I'd love to own one of these pieces below. Oh....that yellow piece....my heart is singing! Thank you for the introduction hun! these are really wonderful! i love the perspective and tones. oh my I know exactly what you mean about those surfing moments. I love, but hate them!! But this, is just FANTASTIC. Thank you for sharing.